This is a novel in the guise of the tape-recorded recollections of a black woman who has lived 110 years, who has been both a slave and a witness to the black militancy of the 1960s. In this woman, Ernest Gaines has created a legendary figure, a woman equipped to stand beside William Faulkner's Dilsey in The Sound and the Fury. 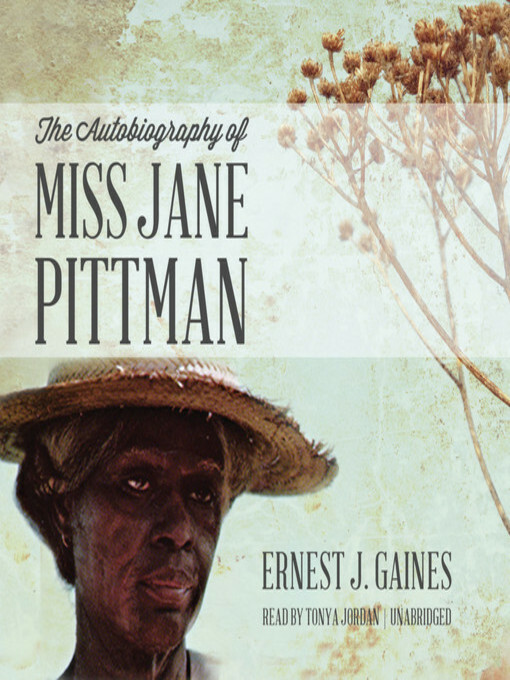 Miss Jane Pittman, like Dilsey, has "endured," has seen almost everything and foretold the rest.